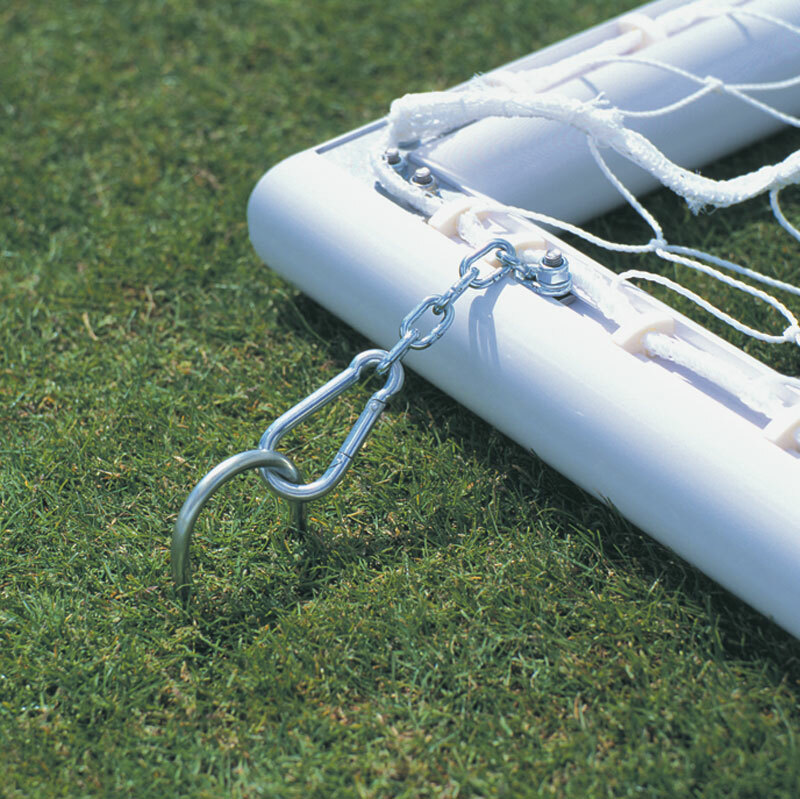 Before using Harrod Sport ® U Peg Anchors a risk assessment is required to evaluate suitability of soil conditions. Suitable for use on grass surfaces. 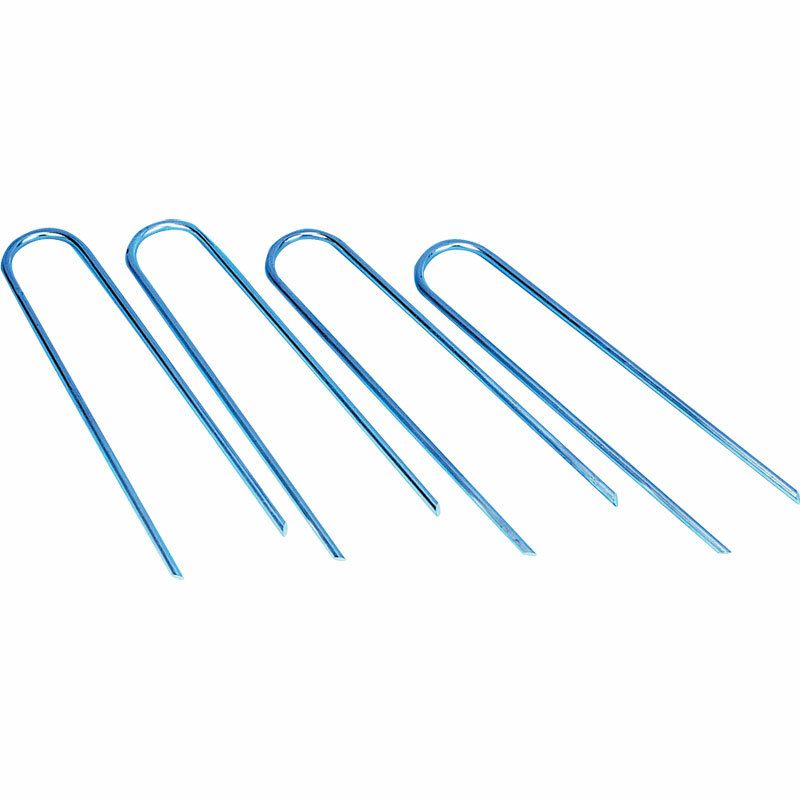 Heavy duty steel peg made from 10mm diameter solid bar. 450mm long and fits over maximum bar diameter of 70mm. Easy to install - supplied in sets of 4. These are extremely sturdy and high quality - perfect for holding down my children's slide as they clamber all over it! Only feedback for Newitts is that they should sell them in packs of 2 as well (as that's all we needed). Would recommend for holding down children's play equipment (on a lawn).